I’ve stumbled upon an amazing juice recipe while flipping through a recipe book that came with Kuving’s whole slow juicer (click to read review). 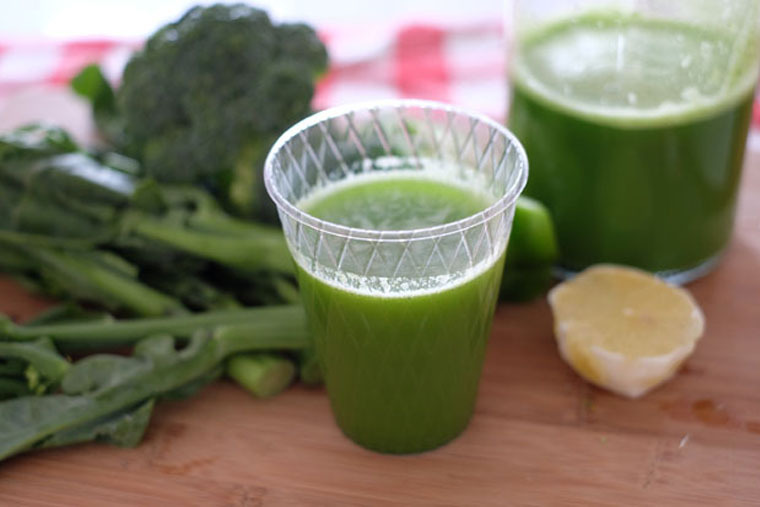 The name of this juice – green detox juice – won my attention amongst the many other fruit juice recipe. 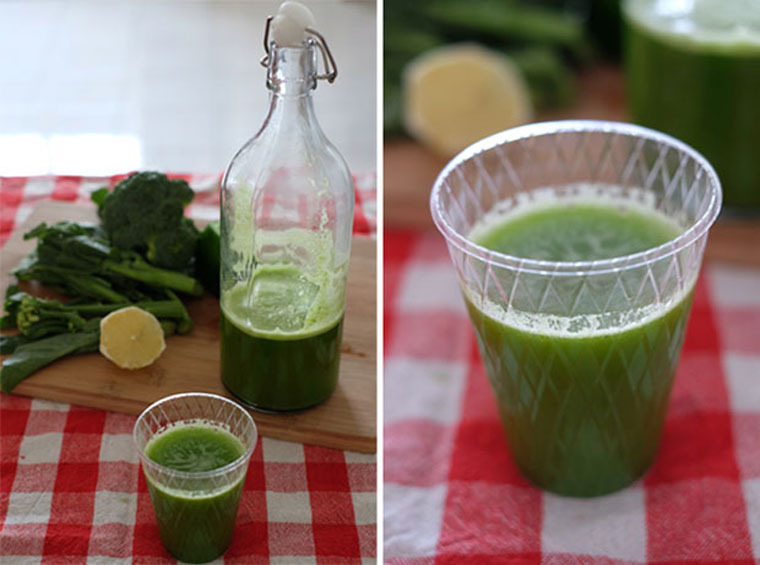 According to the book, this recipe is good for detoxication and strength. At the beginning, I’m sceptical that this green liquid is at all drinkable. Green juice tend to be rather bitter and unappetising. But true to what was written about this concoction, the sweetness of apples offsets the more challenging taste of the greens. The citrusy taste from the lemon is also prominent, making this healthy drink surprisingly delicious! Originally, this recipe calls for kale leaf instead of kailan. I believe in eating locally – it is more likely to be easily available and affordable. Though the health benefits of kale is plastered all over the net and health books, it is not accessible to many Malaysians. Hence, we replaced it with kailan or Chinese kale, another highly nutritious local vegetable. Step 1 PREP: Wash ingredients thoroughly. Remove stems and seeds from green bell pepper. Remove the skins of the lemon, ginger and cucumber. 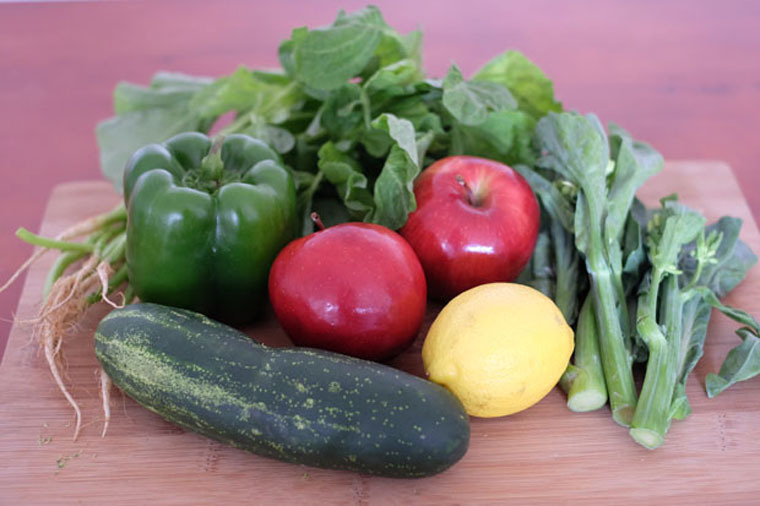 Cut apple, cucumber, lemon and green bell pepper into chunks. Step 3 alternating between spinach, cucumber, kailan, green pepper, apple and lemon. For optimal extraction, soak spinach and kale in cold water for about 30 minutes. Instead of kailan, you can use other green vegetables such as celery or bok choy. Cucumber can be replaced with radish or beets. Do you juice? If yes, let me know your fav recipe!